Just had to get this out of my system; a Samurai robot. 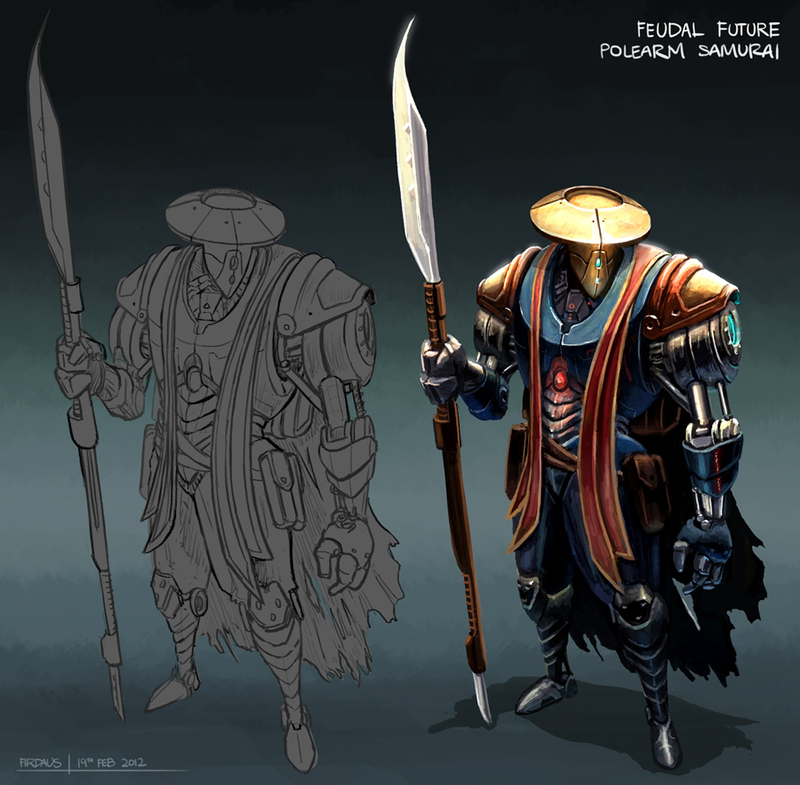 I might toy around with this feudal future idea for a while. In other news, I need serious linework help.